We are sorry to inform you that the Interpreter app has been discontinued. We will no longer provide support for this Interpreter iPhone application. 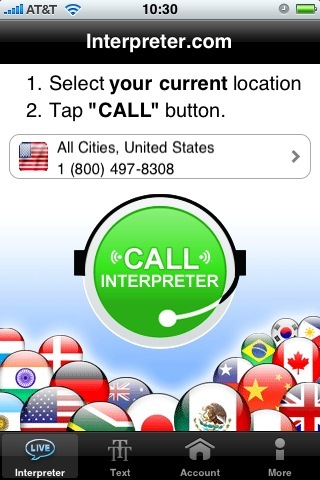 Although the Interpreter app still works on older iPhones, please use this app at your own discretion. We look forward to providing you with better integrated calling phone apps in the future. Sorry for the inconvenience! 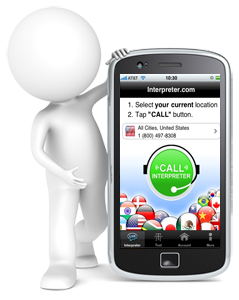 Get Voice and Text Translation When and Where You Need It! 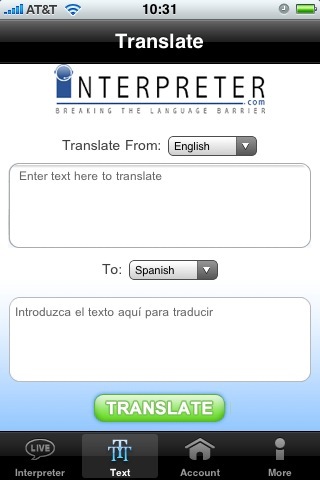 Get the power to communicate in any language with Interpreter.com's new easy-to-use iPhone application. 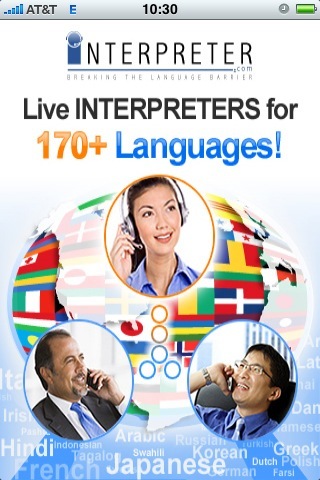 Interpreter.com will help you communicate quickly through Live native speakers of over 170 languages. It's great for when you're on the go, worldwide! Great for travel, business, and more! Step 2: Download FREE App fron iTunes!